6210 2215 Radio Hekla. 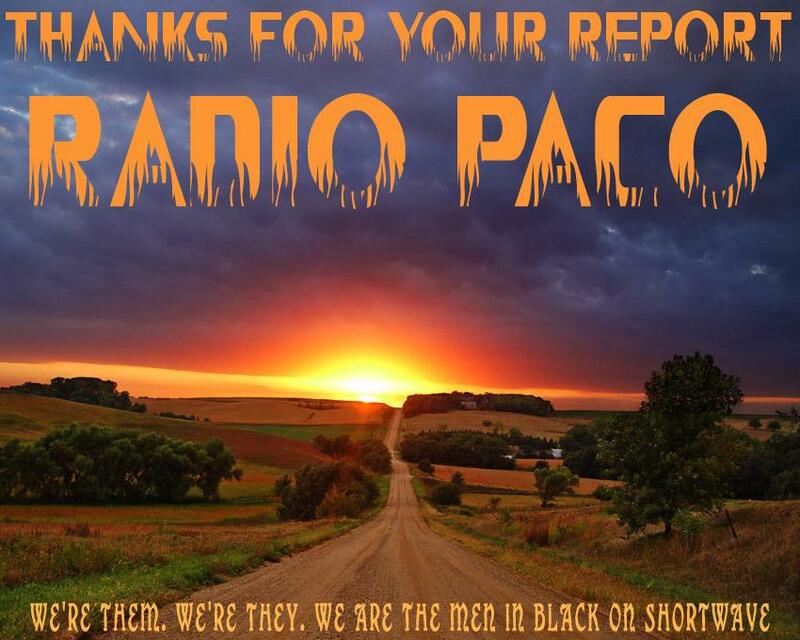 Pop/dance music, fair signal, IDs and talk. SINPO 34333. 6284 1820 Radio Altrex. Madness "Night Boat to Cairo," Fair. SINPO 34333. 6306 1827 Radio Luxemburg (tent). Boney M "Ma Baker," good signal. SINPO 44433. 6915 2230 Laser Hot Hits. Dave Norris show. Robert Miles "One on One," good with strong peaks. SINPO 54444. 6930 2235 Irish Music Radio. Back on 6930. Song "Baby I Know", good signal. SINPO 44433. 6070 2050 Radio 6150. Radio Caroline recordings, fair. SINPO 34333. 6305 2015 Radio Osaka. Easy listening music, fair signal. SINPO 34333. 6320 2005 Radio Caroline Int. ID jingles, pop music. Weak with fair peaks. SINPO 24332. 6915 2020 Laser Hot Hits. Mike Andrews programme. Bobby Goldsboro "Hello Summertime," fair. SINPO 34333. 6915 1925 Laser Hot Hits. Dance music, fair signal. SINPO 34333. 6953 1945 Laser Hot Hits. New Order "Blue Monday", not parallel to 6915, some SSB QRM. SINPO 33333. 6320 1950 Radio Caroline Int. Greek music, ID jingles. SINPO 34333. 6915 1935 Laser Hot Hits. Laser Goes DX show with DX news. SINPO 34333. 6070 2005 Radio 6150. Recordings of Laser 558 "live from the North Sea", fair signal. SINPO 34333. 6255 1900 Radio Telstar South. Offshore recordings, "Telstar" tune. Good signal. SINPO 44333. 6280 1910 Unid. Radio Caroline recordings, maybe Cosmic Radio. SINPO 34333. 6284 1920 Radio Altrex. The Sweet "Fox on the Run", weak-fair. SINPO 24332. 6300 1915 Radio Nachtpiraat. Dance music. SINPO 34333. 6326 1955 Radio Caroline Int. Pop/dance, weak-fair. SINPO 24332. 6915 1943 Laser Hot Hits. Banarama song, Paul Stuart talking about weather. SINPO 34333. 6045 0957 Radio Iceman via Wertachtal. Signing off. Strong. SINPO 54444. 6110 0920 Radio Condor. Dance/techno music, ID, fair reception. SINPO 34333. 6175 0855 Bluestar Radio. "Voyage Voyage", IDs. Fair signal. SINPO 34333. 6200 1125 Delta Radio (Gelderland). Polka, also IDing as "technische man." Fair. SINPO 34333. 6205 0740 Radio Orang Utan. Dutch song then Blondie "Heart of Glass", ID and email address. SINPO 34333. 6205 0844 Radio Borderhunter. ID and address, New Order "Blue Monday", jingle. SINPO 44433. 6208 1920 Sluwe Vos Radio. Pink Floyd "Money", fair signal. SINPO 34333. 6214 0745 Radio King SW. Jingle ID, oldies, still bad modulation. SINPO 34332. 6235 0910 Delta Radio (Gelderland). German pop and then off, good signal but quite fady. SINPO 44433. 6245 0915 Radio Focus Int. Roxy Music song. Good signal. SINPO 44433. 6255 0839 Radio Devalon. Free radio news and recordings, some ute QRM. SINPO 43433. 6255 1927 Radio Telstar South. "Telstar" tune then Argent song, strong. SINPO 54444. 6266 0755 Merseyland Alternative Radio. "Classical Gas", "Forever Autumn", IDs at top of the hour. Fair with good peaks. SINPO 34433. 6280 0805 Radio Geronimo SW. Early Genesis, Dave Scott with IDs and email. SINPO 44444. 6295 0905 Radio Scotland Int. ID and greetings, instrumental music. SINPO 34333. 6305 0850 Radio Merlin Int. Steve Miller Band "Abracadabra" then Lynyrd Skynrd "Freebird." SINPO 44433. 6310lsb 1705 Radio IMPR. New station from Hungary, rock music, weak signal but audible. SINPO 24332. 6320 1530 Radio Baken 16. Hazel Dean "Searching", ID, long talk in Dutch. SINPO 34333. 6320 1648 Radio Lowland. ID and sign off. SINPO 44433. 6320 1907 Radio Caroline Int. ID jingles, pop/dance music. SINPO 34333. 6325 0934 Antonio Radio. "Death of A Clown," weak with fair peaks. SINPO 24332. 6375 0928 Misti Radio. "La Bamba" then "At the Hop". Fair. SINPO 34333. 6401 0750 Radio Waldmeister (tent). Queen "We Will Rock You." SINPO 34333. 6525 1715 Radio Pink Panther. Oldies, fairly weak signal. SINPO 24332. 6915 1655 Laser Hot Hits. Current pop and dance songs, this frequency seems to be better. SINPO 34333. 6940 1630 IMR. Country music, fair reception. SINPO 34333. 6245 0900 Radio Focus Int. Latin Quarter "Radio Africa," ID and email address. SINPO 34333. 6255 2045 Radio Telstar South. The theme from Radio Kaleidoscope, strong. SINPO 54444. 6266 1655 Merseyland Alternative Radio. Rock music, weak-fair signal. SINPO 24332. 6280 2030 Cosmic Radio. Visage "Mind of a Toy," good signal. SINPO 44433. 6290 2058 Pirates for Peace. Dance music and announcements. Strong. SINPO 54444. 6300 2053 Radio Luxemburg. ID jingles, Abba "Chiquitita." SINPO 54444. 6300 2200 Radio Fox 48. The Sweet "Love is Like Oxygen," fair signal. SINPO 34333. 6305 1605 Radio Osaka. Dutch songs, weak with fair peaks. SINPO 24332. 6401 1550 Radio Waldmeister (tent). Deep Purple "Smoke on the Water", fair signal. SINPO 34333. 6450 2133 Radio Universe. "Eye of the Tiger" then "Come on Eileen." Strong. SINPO 54444. 6516 2008 Radio Music Xplosion. Meatloaf, ID and greetings, slight het. SINPO 44433. 6525 1645 Radio Pink Panther. 10cc "Dreadlock Holiday," weak-fair. SINPO 24332. 6910 0910 Laser Hot Hits. Pet Shop Boys song, splash from strong utility on 6905. SINPO 33333. At 1710, heard on 6915, SINPO 34333. 6925 1705 Radio Python (tent). Instrumental music. Weak-fair signal. SINPO 24332. 6930 1712 Trans Europe Radio. A-Ha "Take on Me", then Psychedelic Furs "Pretty in Pink." Good signal. SINPO 44444. Moved to 6950 at 1716 to avoid splashing over 6925. SINPO 54444. 6940 1700 IMR. Northern Soul music "Magic Potion", fair-good signal. SINPO 34333. 7570 2003 Radio Trans Europe. Toto "Africa", Yazoo "Don't Go," ID. Strong. SINPO 54444. 7600 2019 Radio 7600. ID and then Lionel Ritchie "easy." Very strong. SINPO 55444. 6210 1845 Radio AC-DC. Bonnie Tyler "I Need A Hero," fair reception. SINPO 34333. 6245 1840 Radio Focus Int. Radio Atlantis theme tune and other offshore recordings, good signal. SINPO 44333. 6265 2232 Radio Altrex. Back on again, rock n roll, occasional 'moo' sounds, fair. SINPO 34333. 6275 2027 Radio Underground. Bee Gees "Massachusetts," greetings, talking about the bank holiday weekend. No sign of the usual utility on 6275. SINPO 44433. 6284 1853 Radio Altrex. 60s music, "Everlasting Love," fair. SINPO 34333. 6290 2018 Pirates For Peace. KLF "What Time Is Love", strong signal. SINPO 54444. 6297 2240 Radio Fox 48. Dance music, ID jingles. Fair-good signal. SINPO 44333. 6306 2023 Radio SWR. Suzi Quatro "If You Can't Give Me Love," SINPO 34333. 6306 2220 Radio Powerliner. Country song, then The Doors, good with strong peaks. SINPO 44444. 6320 1900 Radio Caroline-Rainbow. Pop and dance music. SINPO 34333. 6525 2208 Radio Mustang & Tidalwave. Phil Collins "Something in the Air Tonight," ID and greetings, Bronski Beat "Smalltown Boy." Strong. SINPO 54444. 6910 2035 Laser Hot Hits. Tony James show. "Theme from Space 1999", strong. SINPO 54444. 6940 2044 IMR. Small Faces "Itchy Coo Park," then "Eloise," strong signal. SINPO 54444. 6280 2045 Radio Spaceshuttle. Rock music, weak signal. SINPO 24332. 6284 2010 Radio Altrex. The James Bond Theme then "C'mon Everybody." SINPO 34333. 6290 2003 Pirates For Peace. ID jingle, rock and dance music. Good signal. SINPO 44433. 6306 2040 Radio Powerliner. Dutch music, IDs in English and Dutch. SINPO 34333. 6910 2025 Laser Hot Hits. Duran Duran "Don't Say A Prayer," fair. SINPO 34333. This American publication is produced by US DXer Andrew Yoder. You read a review of it at the SWLing.com website. 6208 1843 Radio Armadillo. ID and said he was testing the equipment, early UB40 then Teardrop Explodes "Passionate Friend." Good signal, audio sounding OK as well. SINPO 44433. 6292 1838 Radio Altrex. The Specials "Too Much Too Young", then UB40 "Red Red Wine,"fair signal. SINPO 34333. 6320 1858 Radio Caroline Int. ID jingles, dance/pop music. Fair signal. SINPO 34333. 6910 1715 Laser Hot Hits. Talk about Euro 2012 (old show, I think), New Order "World in Motion." Splash from strong ute on 6905. SINPO 43433. 6940 1722 Irish Music Radio. Toris Amos "Winter", good signal. SINPO 44433. 6280 1913 Cosmic Radio. KC & The Sunshine Band "Give It Up" then ID jingles, utility QRM. SINPO 33333. 6320 1923 Radio Caroline-Rainbow. Pop/dance, talk about peace & democracy. SINPO 34333. 6325 2224 Radio Black Bandit. ID and said closing down, "Walk Right In." Strong signal. SINPO 54444. Very interesting article about early pirate radio stations in the Republic of Ireland. "While much has been written of Ireland’s ‘Super Pirate’ radio stations like Radio Nova and Sunshine Radio, and some stations like Phantom have made the great leap to respectability, there is a whole hidden history to Irish pirate radio that has gone largely unexplored. 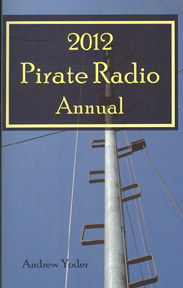 The earliest pirate radio stations in Ireland were schoolboy efforts which the state wished to suppress quickly, and which in some ways were ahead of official broadcasting..."
6070 2045 Radio 6150. More recordings of Laser 558, fair-good. SINPO 34333. 6284 2000 Radio Altrex. U2 then the Clash, moo sounds, ID. Coming in well tonight. SINPO 34333. 6375 2053 Radio Tidalwave. Dance music then UB40 "Kingston Town." SINPO 54444. 6540 2007 Radio 815. ID and email address, polka, signing off. SINPO 34333. 6910 2012 Laser Hot Hits. Another frequency change, Basement Jaxx, good signal. SINPO 44433. 6070 1923 Radio 6150. Announcement about new station then offshore recordings on Laser 558. SINPO 34333. 6288 1842 Radio Fox 48. "We Love The Pirate Stations" then closed down. Weak-fair. SINPO 24332. 6305 1803 Radio Luxemburg. 4 Non-Blondes "What's Going On", fair-good signal. SINPO 34333. 6306 2200 Radio Fox 48. ID jingle then Abba "SOS", best signal from Fox for a long time, good signal. SINPO 44333. 6320 1910 Radio Vakantieman. Weak signal, music just audible. SINPO 24332. 6915 1851 Laser Hot Hits. Paul Stuart show, Moby song, fair signal. SINPO 34333. 6940 1847 IMR. Sixties music, fair. SINPO 34333. 6070 2040 Radio 6150. Offshore recordings of Laser 558, fair-good signal. SINPO 34333. 6292 1743 Unid. Phil Collins "Against All Odds", good signal, no ID heard, possibly Luxemburg. SINPO 44433. 6320 1955 Radio Caroline Int. Jingles and Greek music. SINPO 34333. 6915 2100 Laser Hot Hits. On a new frequency, Paul Stuart with Lady Marie talking about football, dance music, strong. SINPO 54444. 6940 1726 IMR. "Sugar Candy Kisses" then Roy Orbison song. Fair. SINPO 34333. 6980 1720 Laser Hot Hits. Ads for FSN News, Offshore Echoes, Steppenwolf song. SINPO 34333. I've copied them across onto my Webs.com site. Incidentally also on this site, if you haven't visited it for a while, is my QSL collection dating from the late 90s to today, and a huge list of free radio links! 6300 1955 Radio Golfbreker. Dutch songs, IDs and talk in Dutch, strong. SINPO 54444. 6305 2025 Radio Merlin Int. Paul Young "Wherever I Lay My Hat", splash from 6300. SINPO 33333. 6320 1950 Radio Caroline-Rainbow. ID jingles, pop music, fair reception. SINPO 34333. 6510 2010 Radio Pink Panther. "Caravan of Love", fair signal. SINPO 34333. 6930 2000 Trans Europe Radio. "Linda Linda" then Feargal Sharkey song, ID and greetings. Strong. SINPO 54444. 6940 2015 IMR. "Louis Louis" then Tony Carey "Fine Fine Day", good signal. SINPO 44433. 6980 2020 Laser Hot Hits. Zager & Evans "In the Year 2525," fair. SINPO 34333. For the very first time on the 75 meter band, Atlantic 2000 will be on the air this Saturday 18th of August from 19:00 to 20:00 UTC (21:00 to 22:00 CEST) on 3955 kHz, and at the same time on our webstream. Don't forget to listen ! 3905 2040 Radio Alice. Dutch song, country music. Fair signal. SINPO 34333. 6205 2032 Radio Spaceshuttle. IDs and music, weak signal but fair peaks. SINPO 24332. 6210 2048 Radio AC-DC. Meat Loaf song, fair signal. SINPO 34333. 6240 2025 Radio Black Arrow. Boney M "Painter Man", greetings and said was closing down. SINPO 4433. 6305 1625 Radio Osaka. Irene Cara "Fame" and the Osmonds "Love Me For A Reason." SINPO 34333. 6305 2015 Radio Merlin Int. Aerial fixed and back on the air, "Sweet Caroline," good signal with strong peaks. SINPO 44444. 6980 1639 Laser Hot Hits. Talking about Laser relay on 103.8 in Bath area, oldies but SSB chatter in background. SINPO 33333. 6280 1950 Unid. Eurthymics "When Tomorrow Comes", good signal but some utility splash. Possibly Cosmic Radio. SINPO 43433. 6300 2033 Pirates For Peace. IDs "Give Peace A Chance" and "All The Young Dudes," utility noise. SINPO 43433. 6310 2050 Radio Twentana. Dutch songs, then Abba "I Have A Dream" and ID. SINPO 44433. 6320 2020 Radio Caroline Int. Pop music, jingles, fair signal. SINPO 34333. 6525 2028 Radio Pink Panther. The Knack "My Sharona," fair. SINPO 34333. 6940 2040 IMR. Clodagh Rodgers "Spider" then Marianne Faithful song good signal with strong peaks. SINPO 44433. 6980 2045 Laser Hot Hits. Dance music, good signal. SINPO 44433. 6210 1945 Radio Hekla. Weak music with music just audible, supposedly broadcasting from Iceland. SINPO 24332. Email: heklaradio (at) hotmail (dot) com. 6299 2005 Pirates For Peace. Talking about freedom, Dire Straits "Private Investigations", good signal but utility noise in background. SINPO 43333. 6525 1953 Pony Radio. Michael Jackson "Billie Jean," then "Green Onions", ID and said closing soon. Very strong. SINPO 54444. 6980 2010 Laser Hot Hits. Elvis Presley and Steely Dan songs. Fair signal. SINPO 34333. 6290 2040 Radio SWR. Country music, fair signal. SINPO 34333. 6300 2045 Radio Twentana. Polka, ID, fair signal but some ute QRM. SINPO 34333. 6305 2035 Radio Merlin Int. "Chirpy Chirpy Cheep Cheep", then ID. Fair signal. SINPO 34333. 6325 2030 Radio Centraal. Dutch songs, greetings and ID, also on 1660. Strong signal. SINPO 54444. 6980 2050 Laser Hot Hits. Terence Trent D'Arby "Sign Your Name," fair signal. SINPO 34333. 6280 1838 Cosmic Radio. ID jingles, Spencer Davis Group "Keep on Running," then recording of closedown of Radio Caroline, fair signal. SINPO 34333. 6300 1908 Radio Luxemburg. ID jingle then song "Forever Young." Good signal. SINPO 44433. 6305 1825 Radio Minerva. ID and said closing down, Dutch music. SINPO 44433. 6315 1900 Radio Alpenroos. "Tie A Yellow Ribbon Round the Old Oak Tree", ID and said testing new transmitter, gave email address barres60 (at) hotmail (dot) com. Good signal. SINPO 44444. 6450 1830 Radio Merlin Int. Free "All Right Now,", Tornadoes "Telstar," using 10W. SINPO 34333. 6940 1850 IMR. Eurthymics "Thorn in My Side", SINPO 34333. 6210 1720 Radio AC-DC. ID and Stranglers "No More Heroes," weak-fair signal. SINPO 24332. 6240 1942 Radio Morning Star. Country music, ID and greetings. Weak-fair. SINPO 24332. 6280 1855 Cosmic Radio. "Right Side of the Road," ID jingles and talk. Fair reception. SINPO 34333. 6285 1937 Radio Osaka. Pussycat, then instrumental. SINPO 34333. 6425 2025 Radio Golf Victor (Grote Versierder). ID and greetings, ID "Radio Golf Victor", Dutch music. SINPO 34333. 6451 1910 Radio Lowland. Instrumental version of "You Were Always on My Mind," also The Shadows "Apache." Good signal. SINPO 44444. 6485 1920 Sundown Road. Lou Reed "Take A Walk on the Wild Side," quite noisy frequency. SINPO 33333. 6940 1705 IMR. Massive Attack "Unfinished Symphony", fair. SINPO 34333. 6980 1655 Laser Hot Hits. Dance music, sending out greetings to Alfa Lima, some SSB chatter. SINPO 3333. "Andrew Drysdale is no average pirate. As an information technology specialist, he used his talents to hijack the radio waves, setting up an unlicensed, fully operational radio station out of his Chatswood home. "Back in the 1990s, I listened to a station called New Wave FM, which played dance music and got live DJs to play on air. I wanted to create something like that, so I set up ABD Radio," Mr Drysdale said. "It really was a lot of fun until I was shut down in December." 6070 2038 Radio 6150. Announcement about birth of a new station in August, then RNI recordings from 1970s. SINPO 34333. 6210 1903 Radio AC-DC. Lynyrd Skynyrd "Sweet Home Alabama" then The Doors. SINPO 34333. 6260 2229 Radio Black Bandit. ID, greetings, country music. Usual strong signal. SINPO 54444. 6290 1920 Radio Witte Reus. "Would I Cry to You", good signal. SINPO 44433. 6300 2209 TRX Radio. Rock n roll and blues music, jingle IDs. Strong. SINPO 54444. 6425 1907 Trans Europe Radio. Blondie "Heart of Glass" then the Kinks "Lola." SINPO 34333. 6450 1912 Radio Readymix. Dutch music, good signal. SINPO 44433. 6940 2020 Irish Music Radio. Pixie Lott song. Good signal. SINPO 4433. 6980 2015 Laser Hot Hits. Feature about Radio Caroline. SINPO 34333. 6280 1907 Radio Merlin Int. "World Without Love" then Gene Pitney "Something's Got A Hold of My Heart." SINPO 34333. 6290 2007 Grensstad Radio (tent). Johnny Cash "Boy Called Sue" then Peter Gabriel "Biko", weak-fair. SINPO 24332. 6307 2145 Delta Radio (WB). 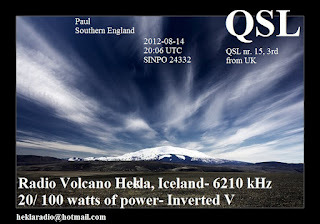 Instrumental music, ID, QSO with Powerliner. SINPO 44433. 6308 2020 Radio Powerliner. Polka, ID and greetings. SINPO 34333. 6320 1934 Radio Caroline Int. Greek music and jingle IDs. SINPO 34333. 6425 1922 Radio Grote Versierder. Polka, ID and greetings. SINPO 34333. 6980 2000 Laser Hot Hits. Weak signal with SSB chatter over the top. SINPO 23332. 7610 1915 Radio Geronimo SW. Unusual midweek broadcast, Dave Simpson show, Tom Robinson "Listen to the Radio." SINPO 44433. 3932 2030 Radio Oscar Zulu. Oldies, ID and talk in Dutch before signing off. SINPO 34333. 6208 2046 Radio Witte Reus. Abba "Mama Mia" and "Name of the Game." Good signal. SINPO 44433. 6240 2000 Radio Altrex. Rock music, said closing down. Fair signal. SINPO 34333. 6280 1923 Cosmic Radio. Mike Oldfield "Moonlight Shadow", ID jingles. SINPO 34333. 6320 1935 Radio Caroline-Rainbow. Pop music, weak-fair signal. SINPO 24332. 6525 2005 Radio Mustang. "Rhthym of the Night" then "Mr Vain", ID jingle. SINPO 54444. 3900 2138 Polaris Radio. Buggles "Video Killed the Radio Star", ID jingles. Fair. SINPO 34333. 6200 2018 Delta Radio (Gelderland). The Cure song, then ID and Dutch music. Good signal. SINPO 44433. 6290 2010 Delta Radio (W Brabant). Dance music then into Dutch music, ID 2052. Good signal. SINPO 44433. It's unusual for both Deltas to be on at the same time. 6735 2045 Cool AM. Old RNI recordings, heard via Barney's TenTec web receiver. SINPO 24332. 6980 2040 Laser Hot Hits. Oldies, fair reception. SINPO 34333. 6095 0941 KBC via Wertachtal. "Breaking Down the Walls of Heartache." SINPO 34333. 6140 0900 MV Baltic Radio via Wertachtal. Sign on then Alice Cooper "Poison." SINPO 44433. 6200 1013 Radio Borderhunter. Dance track, then "Run Like the Wind" and ID. SINPO 44433. 6208 2110 Bogusman. The Chameleons and chat, strong. SINPO 54444. 6210 0945 Radio AC-DC. Dolly Parton "Jolene," weak signal. SINPO 24332. 6215 0745 Radio King SW (tent). Oldies but bad modulation. SINPO 24332. 6240 1708 Radio Flying Dutchman. Greetings, BZN, some utilty QRM. SINO 33333. 6255 2105 Radio Telstar South. Cliff Richard "Summer Holiday" then "The Good The Bad and The Ugly." SINPO 54444. 6280 1752 Cosmic Radio. Peter Gabriel "Solsbury Hill," ID jingle then Dexys "Geno." Bit of utility splash. SINPO 44433. 6286 1607 Radio Luxemburg. Abba "Winner Takes It All", then Bananarama "Robert De Niro's Waiting." Fair. SINPO 34333. 6290 2114 Radio Foxfire. ID and email address, instrumental music, good signal but splash from Reflections Europe on 6295. SINPO 43433. 6300 1612 Radio Paardenkracht. Medley of Abba songs, then ID. Good signal. SINPO 44433. 6305 0905 Radio Shadowman. Boney M "Got to go Home" and Roxy Music "Let's Get Together." Fair-good signal. SINPO 34333. 6305 1715 Radio Grote Versierder. Dutch music, greeting Antonio, some splash from 6300. SINPO 33333. 6325 0855 Radio Nachtpiraat. Weak signal, music just audible. SINPO 24332. 6525 2100 Radio Mustang. "I Want to Know What Love Is," then greeting Silveri. SINPO 54444. 6930 lsb 1725 Radio Activity. Oldies, fair signal. SINPO 34433. 6940 1625 Irish Music Radio. Rock music, fair signal. SINPO 34333. 6980 0750 Laser Hot Hits. "Games People Play," talking about Tom Lodge. SINPO 34333. 7265 0835 Radio Gloria via Radio 700. Oldies, weak-fair signal. SINPO 24332. 7630 0825 Free Radio Victoria. Dutch music, fair-good signal. SINPO 34333. 3905 2052 Radio Alice. "Keep on Rocking in the Free World" then "Hotel California." Fair-good signal. SINPO 34333. 6070 2245 Radio 6150. Offshore radio recordings, fair-good. SINPO 34333. 6255 2200 Radio Telstar South. 10cc song, strong signal. SINPO 54444. 6285 2015 Radio Black Arrow. Roxette "Wish I Could fly" and Abba for Klaus. Strong signal. SINPO 54444. 6290 2045 Grensstad Radio. Dutch music, ID at 2050. Good signal but quite fady. SINPO 44333. 6305 1605 Radio Merlin Int. Hard Fi "Hard to Beat" then David Bowie "Space Oddity." SINPO 34333. 6305 2255 Antonio Radio. ID and greetings, "Time is Tight" Booker T & the MGs. SINPO 34333. 6306 2056 Radio SWR. "Shine A Light" in German, good signal, SINPO 44433. 6320 1955 BNA Radio. Dance music, ID jingles. Fair-good. SINPO 34333. 6325 2225 Radio Nachtpiraat. Polka, ID, occasional utility QRM. SINPO 43333. 6915 2025 Radio Python. ID and talking about stations on 43m, music from Alan Parsons Project. Good with strong peaks. SINPO 44433. 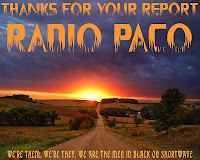 6925 1935 Radio Paco. Guitar music, canned IDs with email address. Fair-good signal, email address: paco807 (at) gmail.com. SINPO 34333. 6940 1615 Irish Music Radio. Country music song, links between records. SINPO 34333. 6980 1625 Laser Hot Hits. Instrumental tune, then Chakka Khan "I Feel for You," fair signal. SINPO 34333. 5800 1925 Overijssel Radio. Dutch music and talk, fair. SINPO 34333. 6280 1900 Radio Luxemburg. ID jingles, ballad then "Reach Out I'll Be There." Utility splash. SINPO 43433. 6291 2143 Radio Black Arrow. Nena song, ID and said closing down. Strong. SINPO 54444. 6450 2035 Radio Lowland. ID, greetings, David Bowie "Heroes." SINPO 54444. 6525 2043 Radio Mustang. IDs and greetings, "Night Train." SINPO 54444. 6540 2046 Radio Boomerang. Crazy World of Arthur Brown "Fire", ID. Usual strong signal. SINPO 54444. 6565 1918 Radio Powerliner. 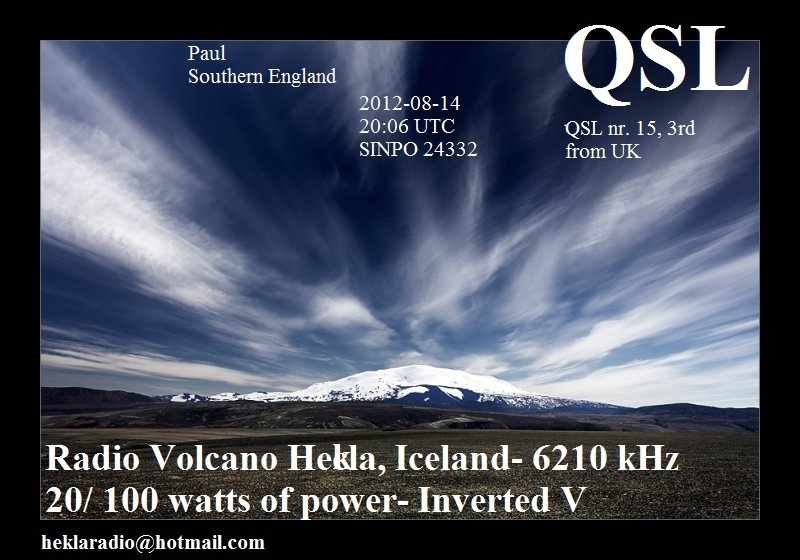 Dutch and country songs, some SSB QRM, good with strong peaks. SINPO 44433. 6575 2030 Sundown Radio. French song, strong signal. SINPO 54444. 6940 1905 IMR. "Hey Baby" Peter Shelley then David Bowie "Oh You Pretty Things." 6980 1910 Laser Hot Hits. Dance music, fair-good. SINPO 34333. 3930 2024 Radio Batavia. Belinda Carlisle "Heaven is a Place of Earth" ID jingles then Paul McCartney & Stevie Wonder "Ebony & Ivory." SINPO 34333. 6070 2215 Radio 6150. RNI relay "Man of Action," weak-fair signal. SINPO 24332. 6206 2005 Sluwe Vos Radio. The Scorpions "Winds of Change", ID and greetings. Coming in well tonight. SINPO 44433. 6305 2240 Radio Zodiac. Rock music, ID, email and spelling name, wishing all a good morning. SINPO 34333. 6920 2220 Polaris Radio. Patti Smith Group "Because the Night", ID and greetings. SINPO 34333. 6980 2018 Laser Hot Hits. Dance music, fair signal but SSB QRM. SINPO 33333. 3905 2010 Skyline International Radio. Toto "Rosanna" then Taylor Daine "Tell It to My Heart." Fair-good signal. SINPO 34333. 4015 2020 Laser Hot Hits. ELO song, then "Popcorn" . SINPO 34333. 6070 2145 Radio 6150. News headlines, announcement of launch of new station, offshore recordings, weak-fair. SINPO 24332. 6290 2040 Radio Spaceshuttle. Weak signal but music audible and occasional IDs, moved to 6306 at 2045. Both SINPO 24332. 6291 2000 Radio Black Arrow. Blue Oyster Cult "Don't Fear the Reaper," Propaganda song, ID and greetings. Good signal. SINPO 44433. 6525 2035 Radio Mustang. Simon & Garfunkel "Sound of Silence," then Mamas & The Papas, strong. SINPO 54444. 6980 1945 Laser Hot Hits. Soul music, fair signal. SINPO 34333.